For it came to pass in the commencement of the afirst year of the reign of bZedekiah, king of Judah, (my father, Lehi, having dwelt at cJerusalem in all his days); and in that same year there came many dprophets, prophesying unto the people that they must erepent, or the great city fJerusalem must be destroyed. This reference to Zedekiah does many things. It bears witness of the validity of the Bible, acting as a "second witness", which is applying God's "law of witnesses". It tells us the date of when this part of his history began. He asserts that he knew that Zedekiah was king. He didn't just hear of Zedekiah. He knew of him, and likely knew of the political happenings of the day as well. It may tell us that Nephi was of age to be aware of political happenings. I was about 12 when I started realizing what was happening in my country, politically. Perhaps it helps us presume that Nephi was at least of maturity to understand a bit of political events. Next, we learn a little more about Lehi. It says he dwelt at Jerusalem in all his days. Have you, or anyone in your family, lived in generally one location all your days? As I explore my family history, I can assert that yes, most of my family has lived in the same 100 mile radius most of their lives, if not their whole lives. It is only in the last 15 or so years that my family has felt to become more mobile, thanks to ease of transportation. Prior to that, however, my parents and grandparents for generations back lived in the same place. And before they emmigrated, they generally stayed in the same province, from what I understand. Here, Nephi is telling us that Lehi dwelt at Jerusalem all his days. This leads me to make an assumption. There is likely a lot of family tradition here. There are emotional, family, and traditional ties. This family was likely very well established, if not well known in their community. Lehi was settled enough to have had at least four sons, and some daughters. To afford to support such a family, he would have had to have supported an honorable income. He was likely highly successful. 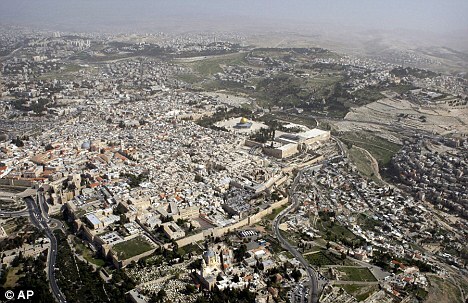 "...prophesying unto the people that they must erepent, or the great city fJerusalem must be destroyed." Here is a perfect "if/then" lineup. And it sums up what the prophets shared. Repent or the awesome city of Jerusalem is going down! This brings up a few points. Repent of what? We're sure to find out what they had to repent of, if not directly, then by the example of others who end up being destroyed in this record. The prophets were pointing out their sins. Were they popular because of this? Are prophets ever popular? Have you ever heard of a prophet who is loved by those who are being chastised? There was a chance for Jerusalem to not be destroyed. The people had to repent. It would likely involve a lot of personal change and repentance, but it was possible. They just had to embrace the message and believe. Believing and changing proved harder than the ensuing destruction. There was probably a lot of self-justification and denial of miracles going on too. From this verse, we can learn so much. Even continuing the thought from the last bullet point, we can see how hard it is to get un-ensnared from the tangles of sin. How much easier it is to not willingly commit sin, than to engage in it and have to get freed somehow? Your thoughts on 1 Nephi 1:4?